Potentia Academy is an education alternative for unique learners where every student has the right to achieve his or her full learning potential. Our school is designed exclusively to help middle and high school students who struggle in traditional learning environments, particularly in math and reading skills. Our highly qualified and caring teachers combine specialized curricula, unique teaching methods, appropriate accommodations, and small class sizes in a safe and nurturing environment to help students exceed previous expectations and succeed in learning. 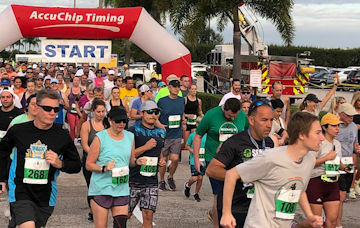 Click on the Headline for pictures from the Run!